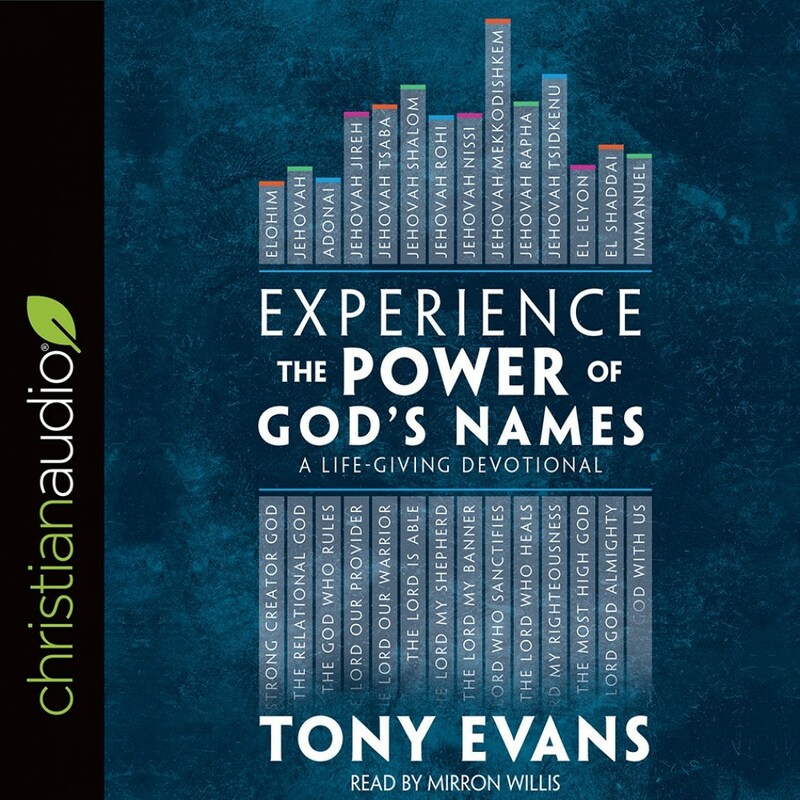 Experience the Power of God's Names | Tony Evans | Audiobook Download - Christian audiobooks. Try us free. The many names of God reveal His characteristics and contain powerful promises to you as a believer. Each of these 85 devotions introduces you to one of God's unique names and includes a key Scripture, practical application, and encouragement to help you in your everyday life. You put the universe together with Your words—thank You for knowing how to put my life together as well. You rule over all, and yet You also seek a relationship with Your creation. You are worthy of all praise and worship. Thank You for being my Lord and my Master and yet allowing me to know You intimately. This beautifully designed devotional makes an ideal gift or a great addition to your own quiet time with God.